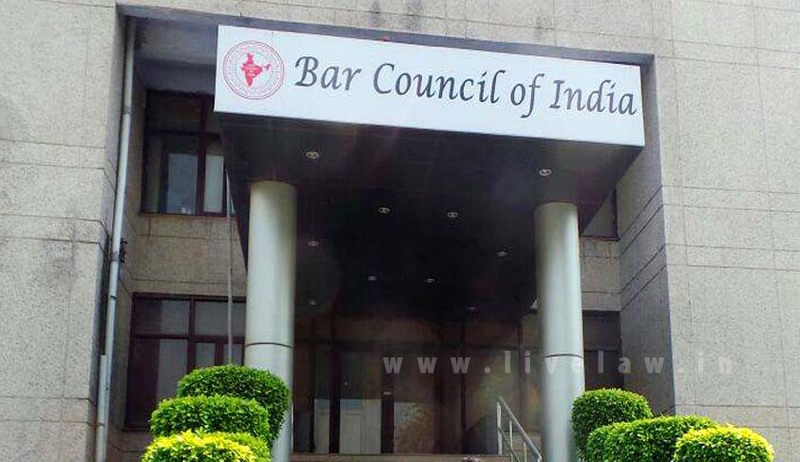 A Special CBI Court on Monday reportedly awarded five years imprisonment to current and former Bar Council of India (BCI) officials for taking bribe in lieu of granting approval to Law Colleges in the country. BCI Current Associate Managing Trustee Rajinder Singh Rana, former BCI Vice Chairman Raju Dhanpal Raj and ex-BCI member Milan Kumar Dey were awarded the sentence along with a fine, by Judge Anju Bajaj Chandna in Patiala House, Delhi. The details with regard to the number of such incidents or the Law School(s) involved are not clear. While Legally India claims that bribe was taken from Global Law College in Ghaziabad, PTI claims involvement of School of Law Studies of Bulandshahr (UP). While a fine of Rs. 3 lakhs has been imposed on Mr. Rana and Mr. Dey, Mr. Dhanpal Raj has been asked to pay a fine of Rs. 1 lakh. Former Associate Professor at Khurja-based NREC College, Mr. Yashpal Singh was also found guilty and directed to pay a fine of Rs. 2 lakhs. The case was registered on February 25, 2011 on the basis of source information initially against Mr. Rana, Mr. Raj and Mr. Goel. According to CBI, co­-accused Mr. Manish Tyagi, member of the advisory council of the Ghaziabad college, had “negotiated and settled” with Mr. Rana to reduce the demanded amount to Rs 6 lakhs and paid Rs 5 lakhs to them on 17 December 2010. The trial took an ugly turn in 2010, after lawyers went on a strike and allegedly manhandled CBI investigators over the allegations, after the three accused were suspended from BCI. It was also reported in 2010 that Special CBI Judge O.P. Saini was “verbally abused” and “allegedly held hostage in his court” by a group of 40-50 “unruly lawyers” protesting denial of bail to Rana until additional police were called in for protection. The accused were however subsequently granted bail in 2011, and Mr. Rana was appointed as Managing Trustee to the BCI trust. Charges were then framed against the accused in November last year, after Special CBI Judge Manoj Kumar Nagpal had found a prima facie case against the accused.